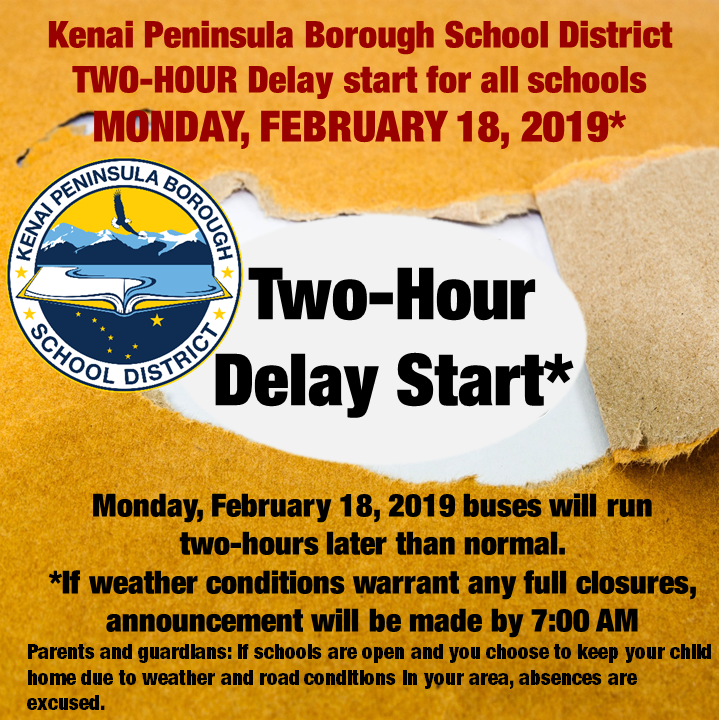 ►ALERT: All KPBSD schools will open with a TWO HOUR DELAY START on MONDAY, February 18, 2019, due to weather conditions throughout the Peninsula. If weather and road conditions warrant a full closure for any schools that announcement will be made about 7:00 AM. All morning Pre-K class sessions are cancelled during a two-hour delay start. Parents and guardians, if you decide, based on conditions near you to keep your child at home, absences will be excused. *A two hour delay means that morning buses run two hours later than normal, school begins two hours later than normal, staff arrives at school two hours later than normal, and Pre-K morning sessions are cancelled. The school day ends at the normal time. Soldotna, February 15, 2019— The KPBSD Board of Education seeks public input into its process to select a superintendent of schools. The school board has sole responsibility for the selection of candidates, final interviews, and selection of the superintendent, but would like to consider the views and interests of the public to help guide those decisions. A brief, anonymous survey invites public comments and the opportunity to rank which attributes and demonstrated skills in a KPBSD superintendent of schools are most valuable. The school board requests everyone interested in schools, including parents, students, KPBSD staff, site councils, PTAs, volunteers, business and community organizations that partner with schools, community groups, and the public to contribute. 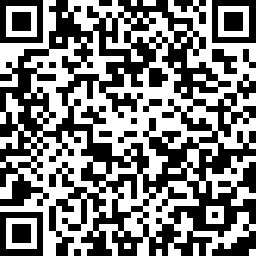 A link to the community survey and important dates is located on the www.KPBSD.org home page in the “Community Interest” section. 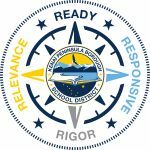 The Kenai Peninsula Borough School District Board of Education seeks an educational leader who has strong communication skills, is committed to high student achievement, and has a proven track record in teaching and administration. The position begins July 1, 2019. The online application period is open until midnight, March 15, 2019. Selection of finalists is March 21, 2019, and candidate interviews will be April 4, 2019, or April 11, 2019 if needed. The public may attend and offer written comments. KPBSD responds to an unprecedented budget challenge. Attend a community forum to get facts. 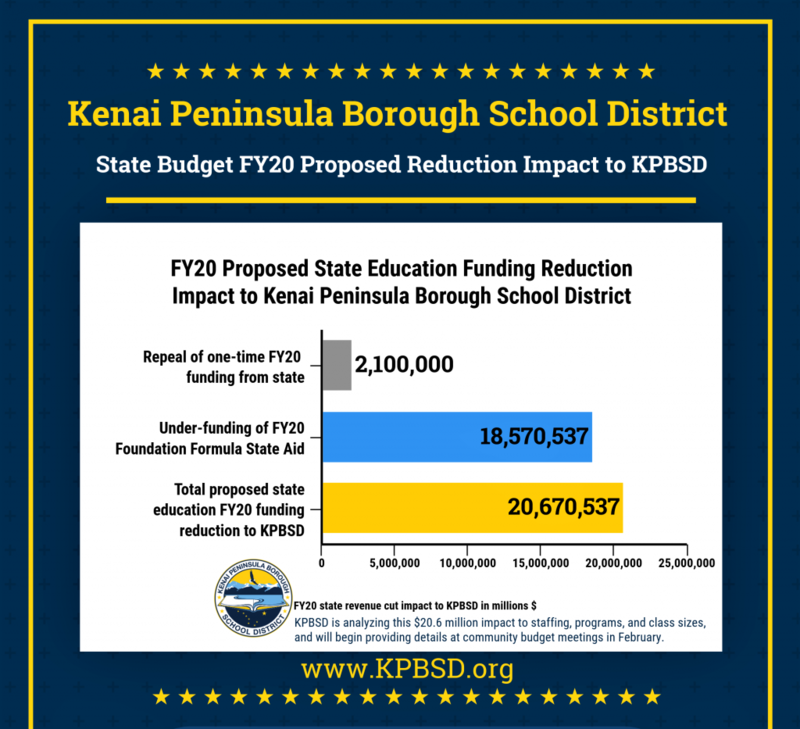 Soldotna, February 14, 2019—Do you understand how the KPBSD school district budget will affect what KPBSD can offer in schools to educate our youth? With drastic state budget cuts to education proposed by the Governor, attend a budget forum in your community. Learn: KPBSD faces an unprecedented deficit of over $20 million dollars or more if the Governor’s proposed FY20 state budget is passed. Be informed so you can advocate for the 2019-2020 school district budget which will define opportunities and offerings in August, 2019. If the future success for our KPBSD K-12 students depends on a quality education so graduates will be prepared for college or a career, funding public education is crucial. KPBSD asks everyone to attend a public budget meeting, and become involved in the financial solutions for our school district and state. 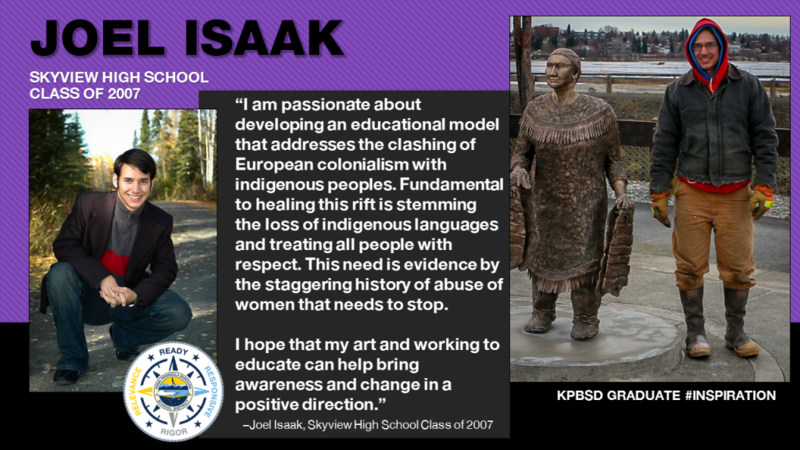 Following his 2007 graduation from the Kenai Peninsula Borough School District, he was awarded a Bachelors of Fine Arts Sculpture from the University of Alaska Fairbanks, and Masters of Fine Arts in Sculpture from Alfred University in New York. A man with exceptional talents and kind insightful eyes, Joel said, “I would spend hours of time in the art studio after school when I was in high school. This was a safe space for me to learn, do homework, and develop my artistic skill. I had fantastic art teachers. 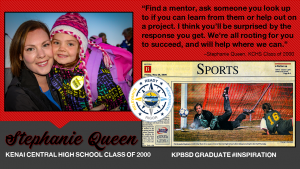 I began my undergraduate studies pursuing a chemistry degree. After several car accidents, I was no longer able to do lab work. I had a friend mentor who encouraged me to pursue art. I still have to be careful with the physical repercussions of my injuries but I am able to work prolifically in sculpture.” His art is truly fantastic; view the video featuring Joel: Fins of Fashion: The Alaskan Artist Creating Salmon Skin Stilettos, and visit his website at https://joelisaak.com/. Today his home is back on the Kenai Peninsula, he works with DEED, creates meaningful art, and continues to pursue life with purpose and passion. Today Governor Michael J. Dunleavy released an amended FY20 budget with a significant reduction to education funding. The budget documentation made available to this point does not give us the detail we need to determine the amounts specific to our district. We are communicating with the Department of Education, and are hearing the cut will come from under-funding K-12 Education Foundation Formula, not reducing the Base Student Allocation (BSA) value as some media is reporting. This is significant to us because of the way the BSA corresponds to the minimum and maximum range the Borough can contribute to K-12 education. In contrast, under-funding the foundation formula and keeping the BSA intact would not reduce the range the Borough can fund to education. 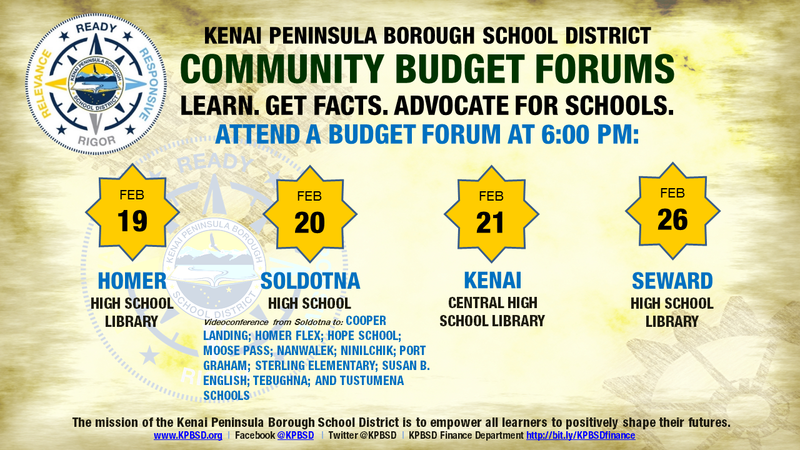 In the next two days, we expect to provide you accurate information for the Kenai Peninsula Borough School District. It is important to remember that this is the start of a process that will also proceed through the Senate and House. 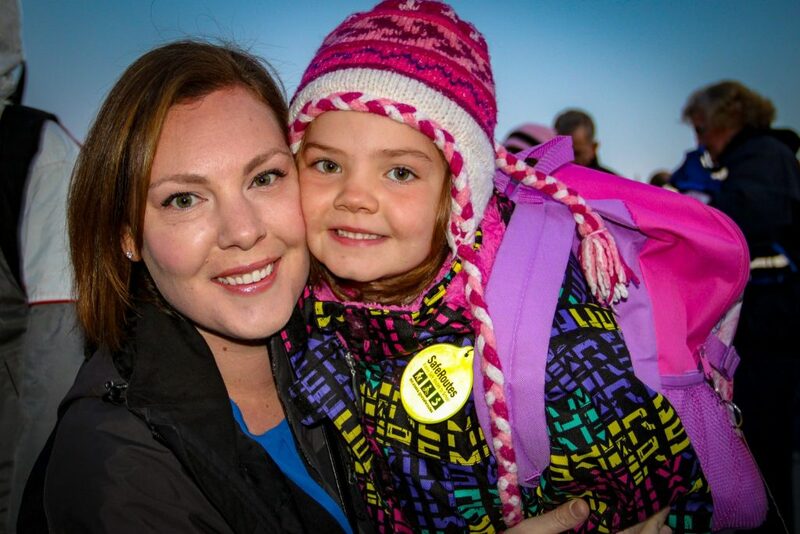 We ask the public to focus on the future they value and want to build in Alaska, and communicate that to family, friends, coworkers, and especially our elected officials in local, state, and national government. As soon as we have details, we will share accurate facts about the Governor’s FY20 amended budget and the potential reduction in revenue impact to KPBSD’s FY20 budget. The Foundation Formula is the funding mechanism for K-12 education and has many steps in it. Included in the Foundation Formula is the BSA – Base Student Allocation that is a fixed amount every year. A tricky part to understand school funding and a cut is that two ways exist for reductions or increases, and one impacts the local required minimum and maximum allowable amount the Borough can contribute, the other does not. The legislature can under-fund the Foundation Formula, or change the BSA amount. When only the Foundation Formula is under-funded, it doesn’t affect a borough or municipality contribution to K-12 education. The local (Borough) contribution is tied to the BSA fixed amount to determine the required minimum contribution and maximum allowable contribution to schools, and so if the BSA changes (decrease or increase) it also creates an adjustment percentage to the required minimum contribution and maximum range the Borough can contribute to education funding. 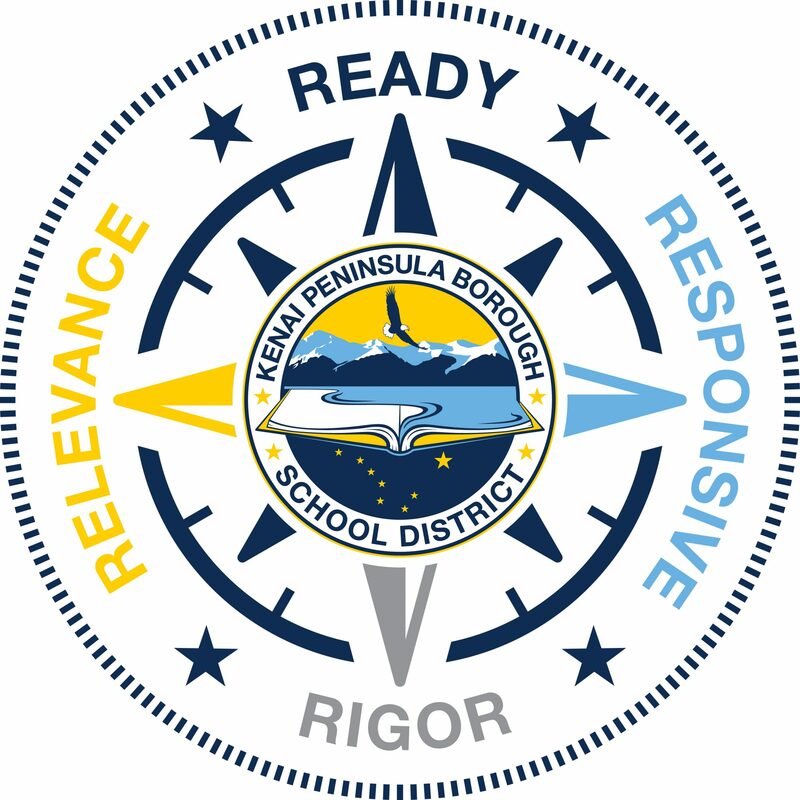 Soldotna, February 13, 2019–The Board of Education of the Kenai Peninsula Borough School District (KPBSD) is searching for a superintendent; applications are open until March 15, 2019. The Board of Education accepted Superintendent Dusek’s retirement in January, and approved the search for a new superintendent to open during their February 11, 2019, board meeting. The detailed position description and application details are online at http://bit.ly/2N1JFZV. The successful candidate will have outstanding educational leadership and advocacy skills. They will possess and demonstrate a strong background in improving student learning in a culturally responsive and student-centered approach. The board is especially interested in a leader with high integrity who has proven experience as an effective educational administrator and school system leader. The preferred candidate should have demonstrated expertise in school district finance and budget management, human resources and effective curriculum and instruction implementation. 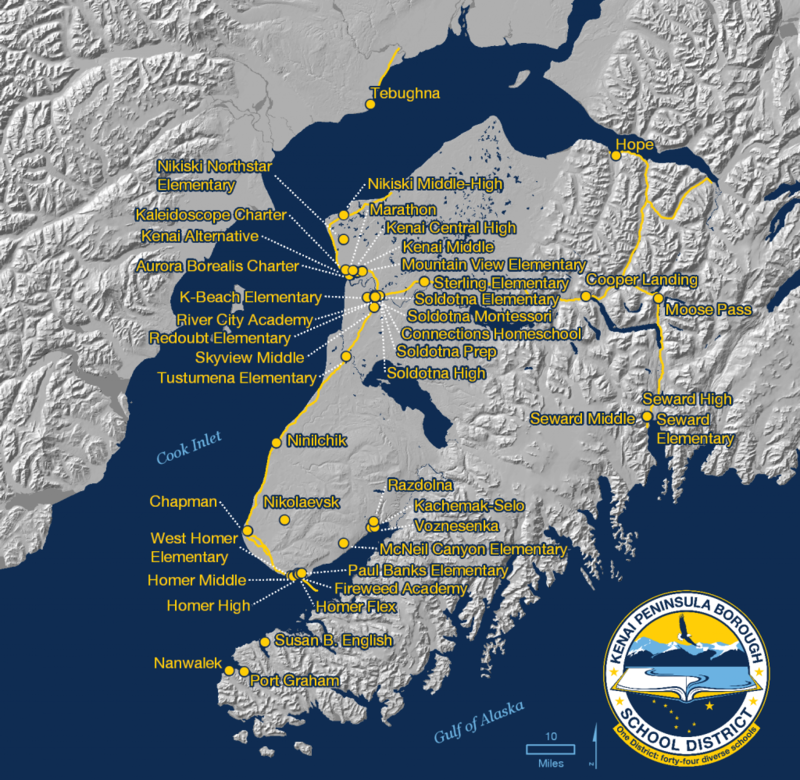 The Kenai Peninsula Borough School District is perhaps one of the most diverse districts in the state regarding community size, ethnicity, and religious composition. The Kenai Peninsula Borough School District is one of the top performing districts in the state of Alaska encompassing 21 communities within 25,600 square miles and serves nearly 9,000 students. Four of the district’s schools are accessible only by water or air; one by hiking or all-terrain vehicle. Each school day, more than 2,700 students are transported a total of 7,200 miles on school buses throughout the District. The Kenai Peninsula Borough School District (KPBSD) provides health insurance to its employees through a self-insured model with two options: Traditional Plan or a High Deductible Plan (HDHP). Each plan’s total costs for medical, dental, and vision claims, along with administrative and stop loss expenses, are split between the District and the plan participants according to a formula set forth in the negotiated agreement between KPBSD and employee bargaining groups. 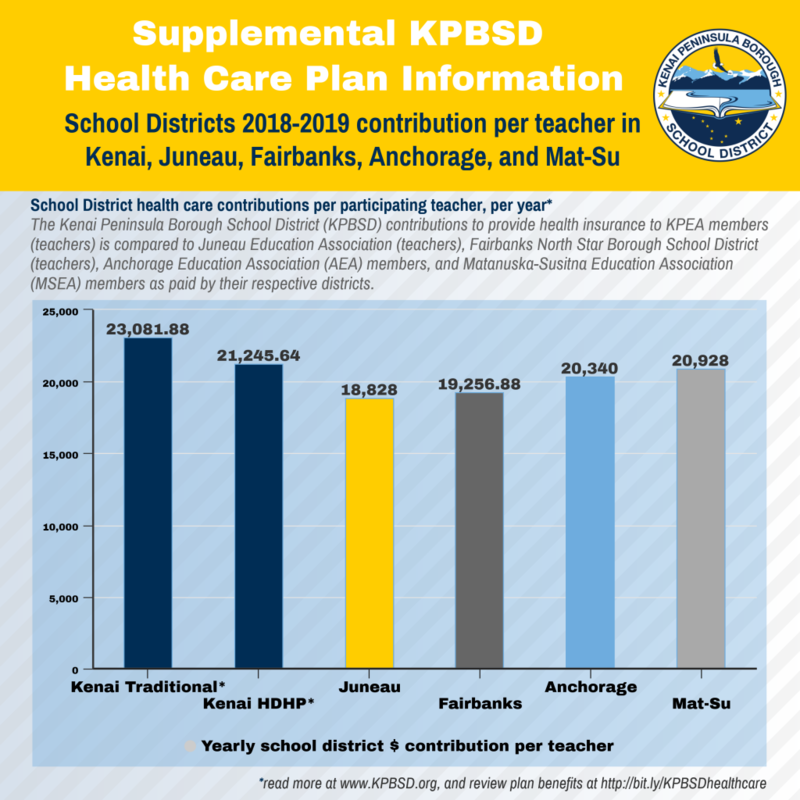 The Kenai Peninsula Borough School District (KPBSD) contributions to provide health insurance to KPEA members (teachers) is compared to Juneau Education Association (teachers), Fairbanks North Star Borough School District (teachers), Anchorage Education Association (AEA) members, and Matanuska-Susitna Education Association (MSEA) members as paid by their respective districts. 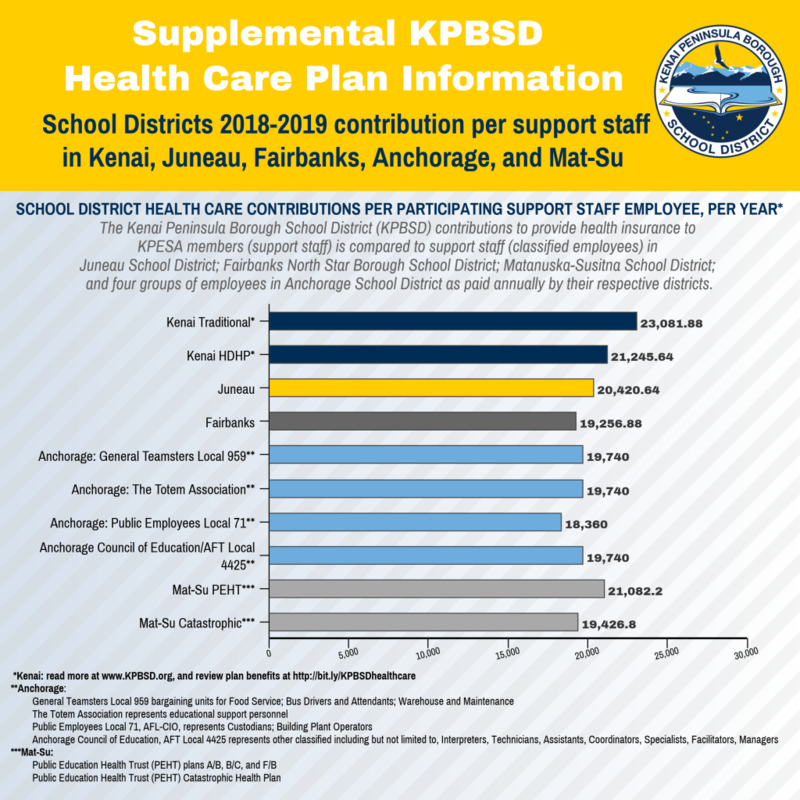 The Kenai Peninsula Borough School District (KPBSD) contributions to provide health insurance to KPESA members (support staff) is compared to support staff (classified employees) in Juneau School District; Fairbanks North Star Borough School District; Matanuska-Susitna School District; and four groups of employees in Anchorage School District as paid annually by their respective districts. KPBSD provided PEHT with requested health care claims and other data. The PEHT consultant, AON Risk Services, provided premium quotes to KPBSD on October 25, 2018. The proposed PEHT rates included “a load of 45% to the medical rates.” This reflects the high utilization of medical services by current KPBSD plan participants. To switch to PEHT, the only option for KPBSD participation would have been a 4-tier rate structure. Instead of the same monthly premium (composite rate) for each employee, the monthly premium would be differentiated: single employee; employee + spouse; employee + child(ren); and employee + spouse + child(ren). After receiving this quote and 4-tier rate information from AON Risk Services, neither the District, KPEA, or KPESA proposed health insurance through the PEHT. in order to allow crews additional time to clear roads from heavy snowfall and to ensure safe travel. A full closure is not anticipated, however, if it is determined a full closure is needed, that announcement will be made by about 7:00 AM. If nothing is posted, proceed with the two-hour delay start. 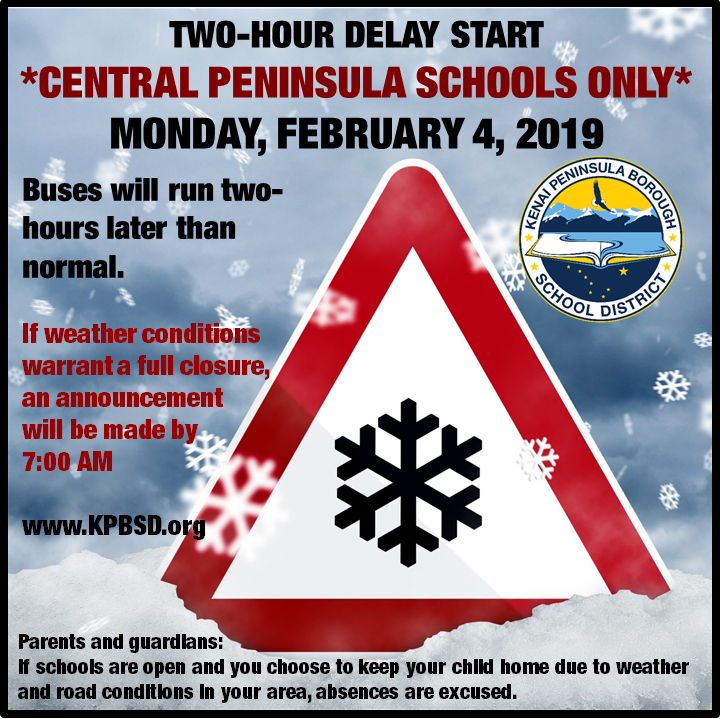 All other KPBSD schools, including Ninilchik School, will start on a normal schedule Monday, February 4, 2019. Parents and guardians, if you decide, based on conditions near you, that you will keep your child at home, absences will be excused. *A two hour delay means that buses run two hours later than normal, school begins two hours later than normal, and staff arrives at school two hours later than normal. 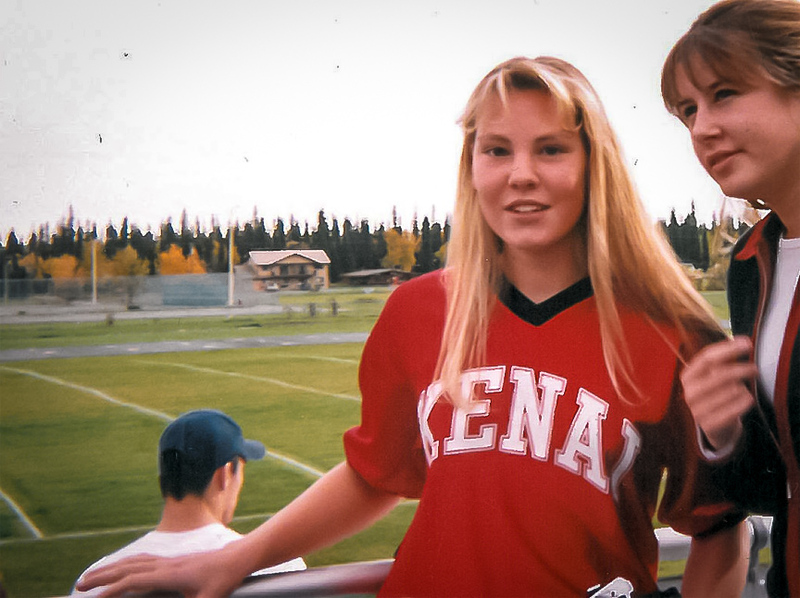 Ostrander is a familiar name in Kenai and Soldotna—Paul is now the city manager—and the entire state roots for his daughter Allie, a long-distance runner and graduate from Kenai Central High School. 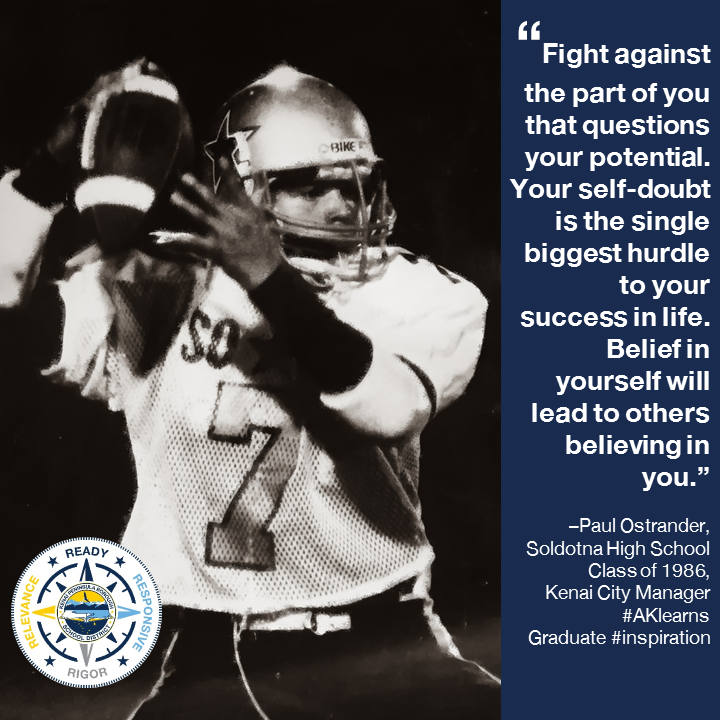 However, about his childhood, Paul explains, “I grew up in Kenai, Alaska, but my mom taught at Soldotna Elementary so I always rode to school with her during my days at Soldotna Elementary where I established friendships that continued in the Soldotna schools through graduation.” After attending Soldotna Elementary, Soldotna Junior High, and Soldotna High School, he earned a Bachelor of Science in Biology from Montana State University and a Teaching Certificate from University of Alaska Anchorage (UAA). 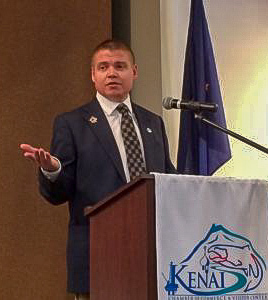 Now you will find Paul at the helm of the city of Kenai, working as the city manager. 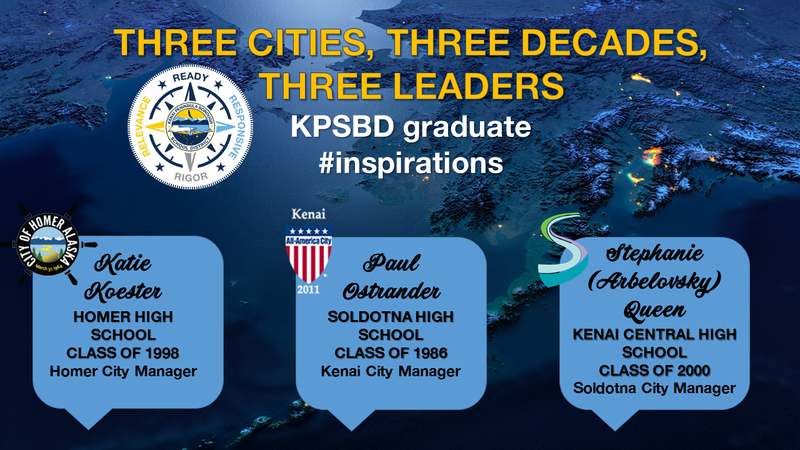 Here’s an inspiration: three of the largest cities on the Kenai Peninsula all have KPBSD graduates working everyday as their respective city managers now! As a kid, I rode my bike all over town every summer growing up, hanging out at the mall, on the beach, or off-roading on the trails north of town, but my favorite spot was on the Kenai River. 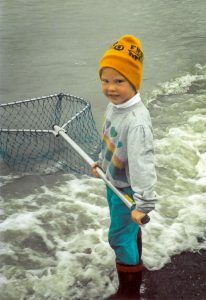 I spent hundreds, if not thousands of hours fishing the Kenai River, mostly in the slough directly above Eagle Rock boat launch. It was a short walk from the house I grew up in, giving me the freedom to get there as a kid without help from mom and dad. 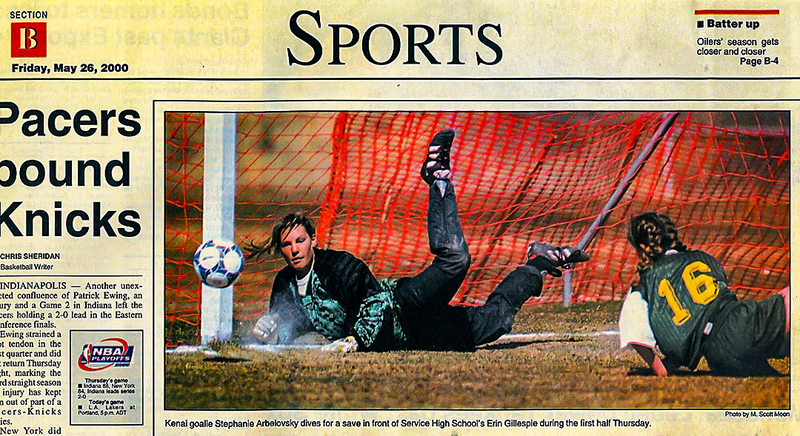 I had the same teacher for both first and third grade at Soldotna Elementary—Mrs. Doris Brewer. She was an amazing educator, but beyond that, she helped shape the character of her students in impressive ways. She taught me that every day you should strive to meet your very highest standard. She was consistent, fair, and had high expectations. Traits she helped instill in me at a young age and that I aspire to meet and emulate to this day. What separates Kenai is its heart. I never know what challenges I might face on any given workday. A city manager has a unique opportunity to learn more about what makes a city unique, and working to engage residents and employees toward what matters most to the community we live in is a challenge that is both exciting and rewarding. Kenai has a diverse history and residents are ardent in their support of their hometown. When people talk about living in Kenai, whether talking about fishing the river or family time on the beach, you can sense the pride they have in our natural resources and community. The statement that, it’s the best place to live in the world, is heard often, and meant wholeheartedly. The City of Kenai has been pursuing the Bluff Stabilization Project for the better part of 40 years, and for the first time in our history, the project is ready to become a reality. It will stabilize approximately one mile of river bluff fronting Old Town Kenai. A stable bluff will protect the original part of Kenai–the heart of our City. I am excited to see this project begin and stimulate other projects that explore Kenai’s tremendous potential.